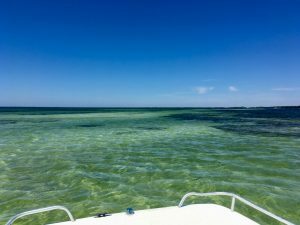 One of Florida’s favorite pastimes, scalloping is a fantastic way to experience the raw beauty of the bays along the Northwest Florida coast while also gathering the star ingredient for a fresh Gulf Coast feast. With no commercial harvest of bay scallops permitted in Florida, it’s also the only way to experience this coastal delicacy. Scallop season is now underway in Franklin County and runs through September 24th while the Gulf County season begins August 17th and ends September 30th. Scallops are harvested by snorkeling the shallow grass beds of the bays where they thrive and can be collected by hand or with a dip net. 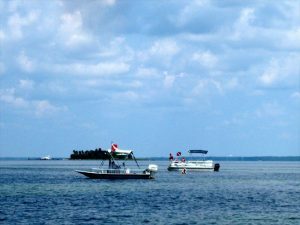 The Franklin County region (including Carrabelle, Lanark and St. Marks) includes all state waters from the westernmost point of St. Vincent Island in Franklin County to Rock Island near the mouth of the Fenholloway River in Taylor County. Bag and vessel limits in open bay scallop harvest zones are 2 gallons whole bay scallops in shell or 1 pint of bay scallop meat per person, with a maximum of 10 gallons of whole bay scallops in shell or 1/2 gallon of bay scallop meat per vessel. Scallops are usually found in seagrass beds and are easily distinguished from other bottom-dwelling animals by their electric blue eyes. They can swim by opening and closing their shells making them sometimes more difficult to catch! 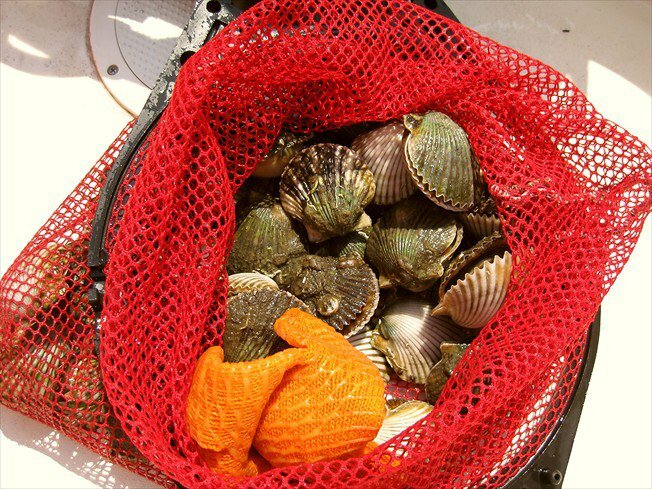 For more information on scallop season in Northwest Florida, CLICK HERE.